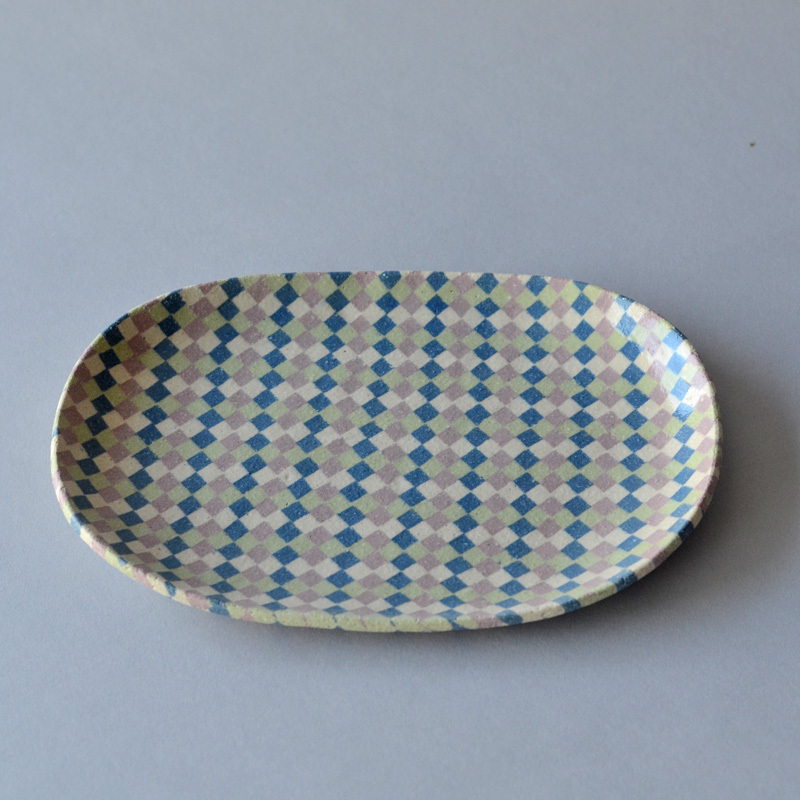 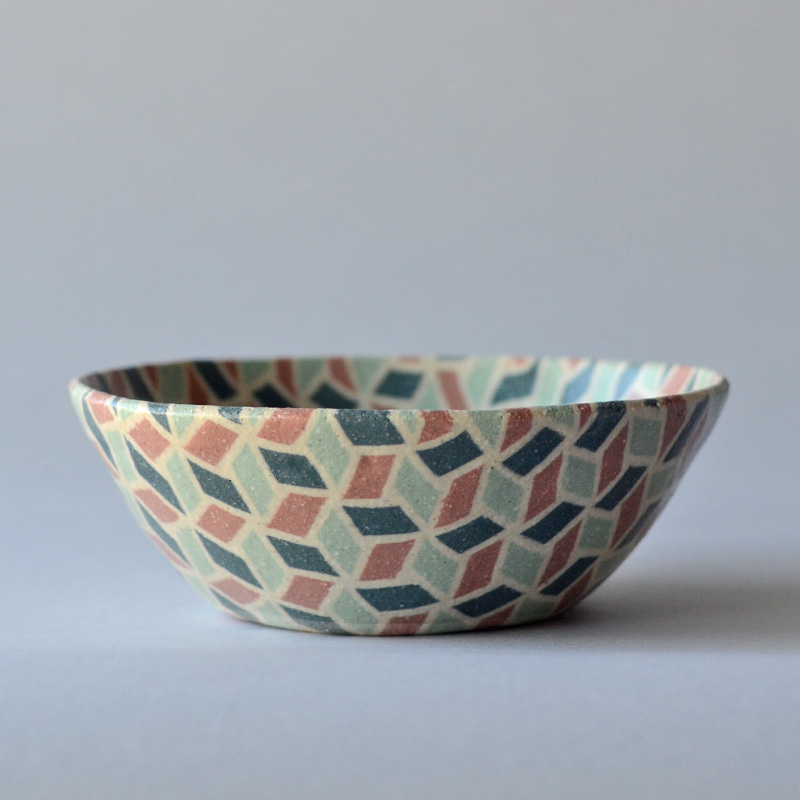 Japanese ceramic artist Sakai Mika has a gift for color and her nerikomi ceramics clearly show that. 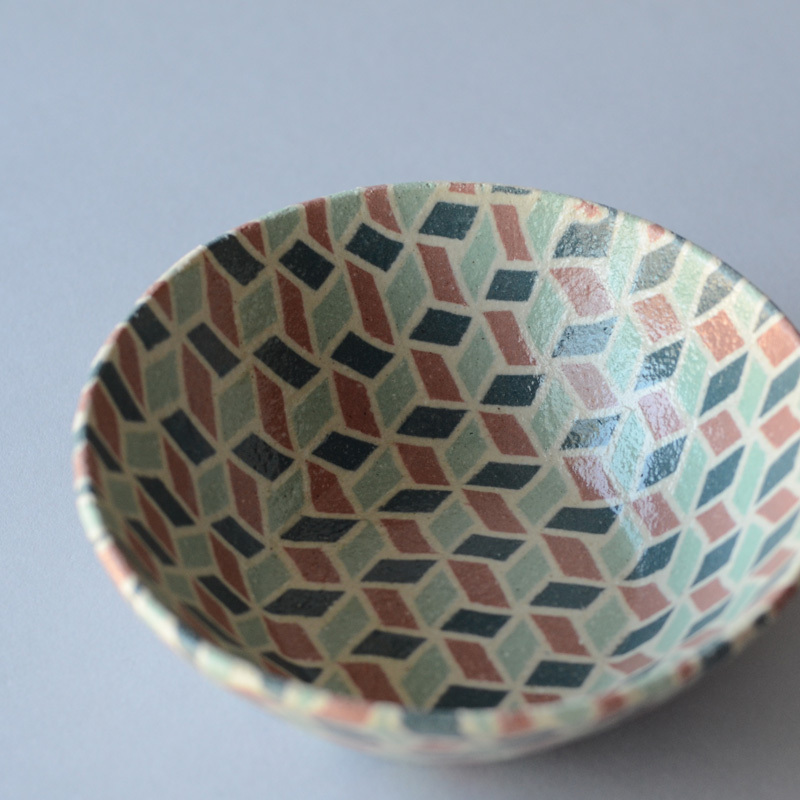 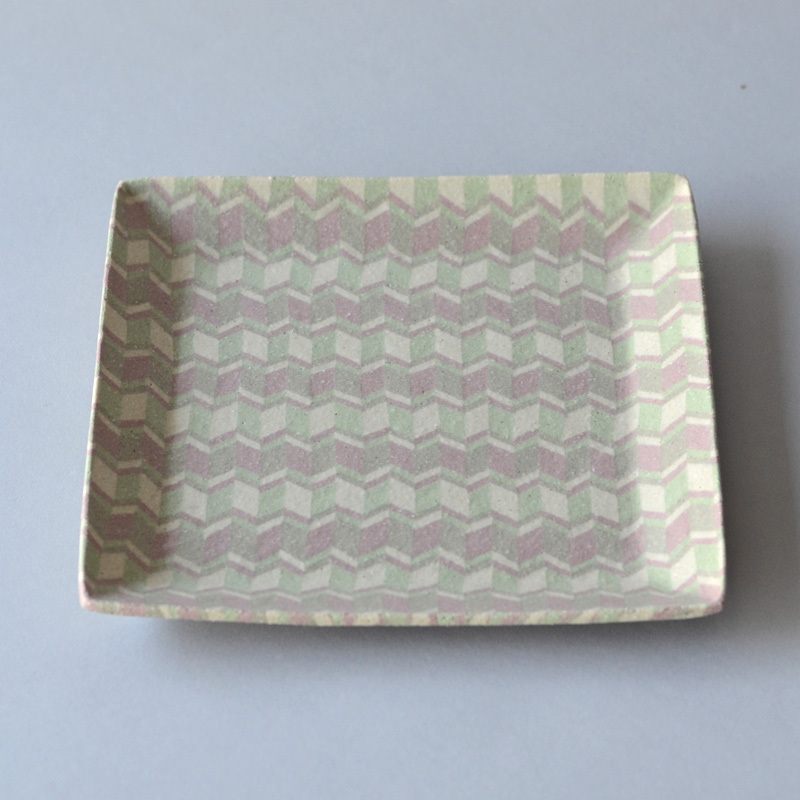 Nerikomi is a style of pottery in which the clay is tinted, layered in precise ways, and sliced to form a slab which is pressed into or onto a mold. 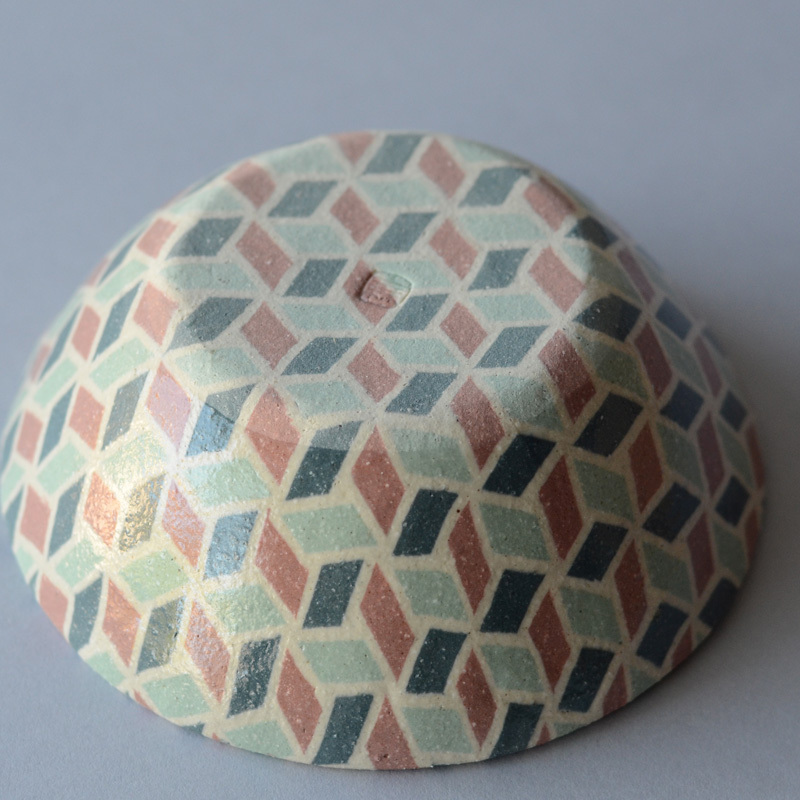 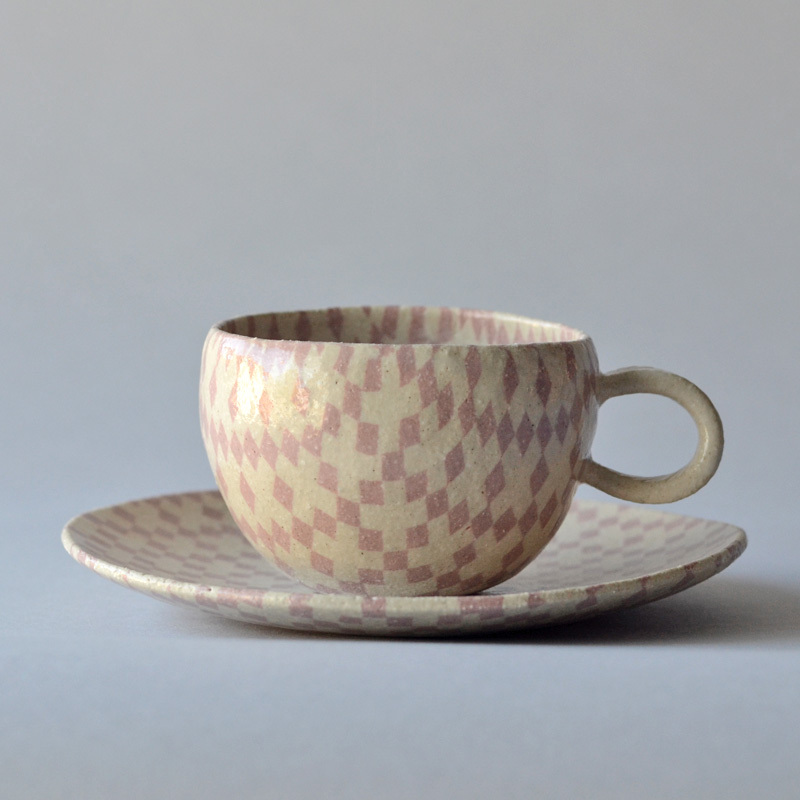 The work’s color and decoration are created by the patterned clay rather than by a glaze or surface technique. 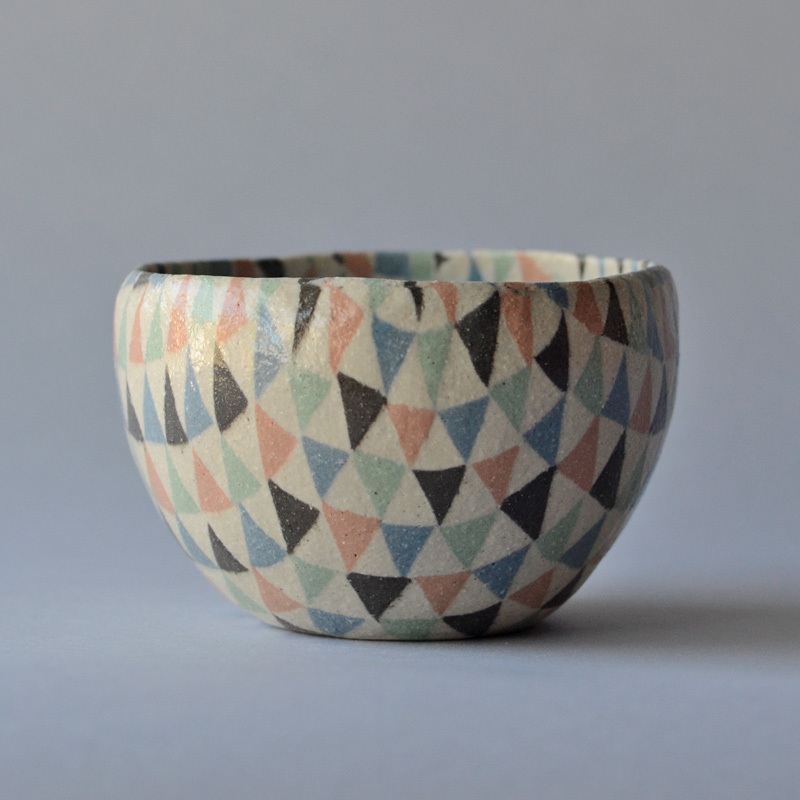 Mika’s beautiful color palettes are enhanced by her simple forms which she designs with ease of washing and stacking in mind.